J. 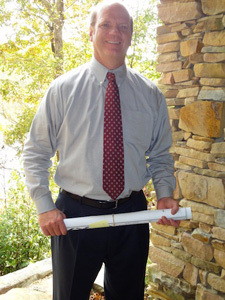 Key Properties, LLC is a commercial real estate company with over 30 years of experience. They are located in Birmingham, Alabama and cover the greater Birmingham area, as well as North Alabama. This company was founded by Jack Key, who is eager to put the expertise of J. Key Properties to work for you. Jack’s experience involves working with a wide variety of clients, including large and small, corporate and individual. In the past 25 years, Jack has gained an immense amount of market knowledge. His integrity is the foundation of this company, and his expertise and concern for the clients’ interest is unsurpassed. In addition to his extensive knowledge of the local market, Jack Key has also developed a great working relationship with the area brokerage community and government officials. He is a member of the prestigious Society of Office and Industrial Realtors, which is a group of real estate brokers who are “the best of the best”. He gained membership through achievement, high ethical standards, and recommendation from peers, which proves the quality of services you will receive at J. Key Properties. Membership in SIOR provides J. Key Properties, LLC an extensive network of brokers, nationwide, through which it can market and locate properties on a regional and national level.